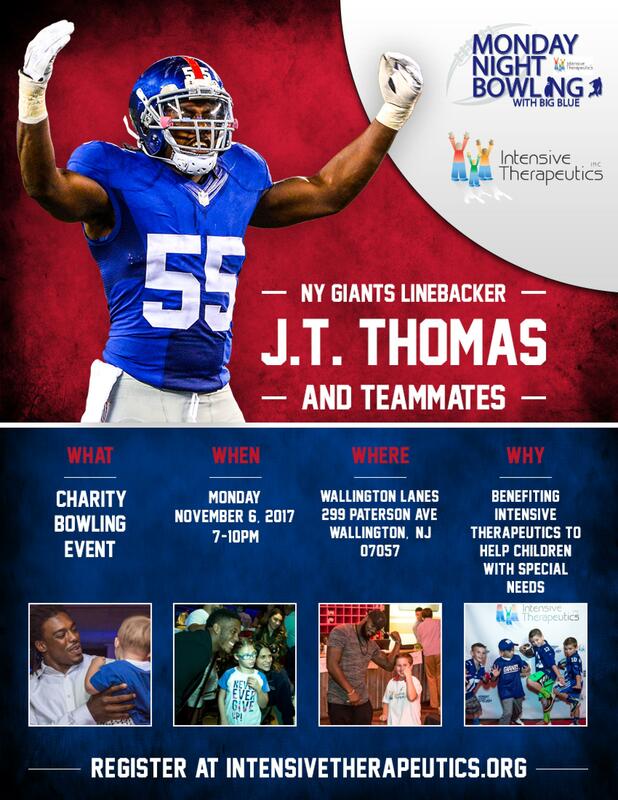 On Monday, November 6, 2017, 7 to 10 PM, New York Giants linebacker, JT Thomas is hosting “Monday Night Bowling.” This charity bowling event benefits Intensive Therapeutics, and takes place at AMF Wallington Lanes, which is located at 299 Paterson Avenue in Wallington, NJ. 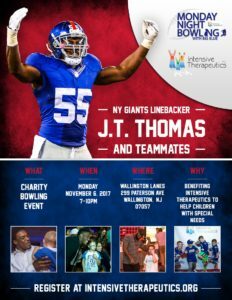 JT Thomas will be joined by many of his NY Giants teammates at this event. Intensive Therapeutics is a 501 (c) (3), non-profit, charitable organization that provides group and individual occupational therapy services to children with autism and children with hemiplegia, from stroke, CP, and brain injury.